The GAA has confirmed that Britain's Queen Elizabeth will pay a visit to Croke Park during her upcoming visit to Ireland. The Queen and Prince Philip, the Duke of Edinburgh, will be accompanied by President McAleese. 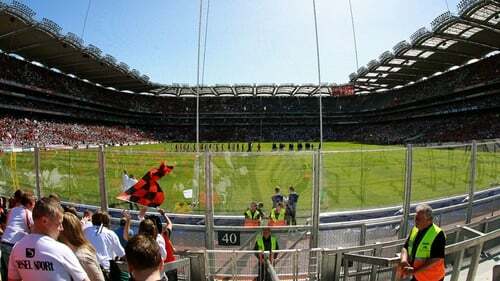 In a press release, the GAA stated: ‘We are confident that this historic visit to Croke Park will be welcomed by those who play, administer and support our games, at home and abroad, including of course throughout Britain. The Gaelic Athletic Association has for well over a hundred years embodied and taken its stand with the mood of the nation, culturally, socially and politically. In unity with our players, administrators and supporters throughout the island and abroad, we were strongly committed advocates of the peace process, and we have welcomed, supported and celebrated the developing reconciliation which has resulted from the Good Friday Agreement and its endorsement by the people, North and South, in referenda. We now welcome the further development of this process, and the consequential deepening of relationships, which will flow from the invitation by President McAleese to Queen Elizabeth to pay a State visit to Ireland. The GAA is pleased to have been asked to receive Queen Elizabeth, accompanied by President McAleese, at our headquarters in Croke Park and to showcase our stadium and facilities to the Queen, the Duke of Edinburgh and their accompanying party. We believe that this request reflects and acknowledges the special place of the GAA in the life and history of the nation. We are confident that this historic visit to Croke Park will be welcomed by those who play, administer and support our games, at home and abroad, including of course throughout Britain. We hope also that it will encourage a greater interest and participation in our games by our fellow Irishmen and women of the Unionist tradition. The visit to Croke Park will provide the Uachtarán of Cumann Lúthchleas Gael with the opportunity to convey to the Queen and the Duke of Edinburgh a sense of the history and values of the Gaelic Athletic Association, and its unique and leading place in Irish society. In the best traditions of our Association, we will extend a warm welcome to Croke Park - a Céad Míle Fáilte - to Queen Elizabeth and the Duke of Edinburgh, accompanied by the President and Dr. McAleese. The GAA will be making no further comment.